Beer is one of the oldest beverages in existence, dating back to the fifth millennium BC. 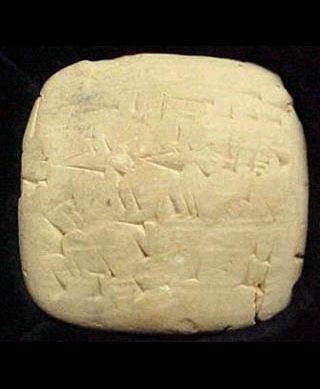 Ancient clay tablets (like this one) mention the production of beer in ancient Sumeria and Egypt, linking it to the rise of agriculture in these regions. How and why beer first came to be invented is a bit of a mystery; however, it is widely believed that it happened entirely by accident. At least, this seems the most logical assumption given how beer was originally made: by combining cooked bread with water and allowing it to ferment naturally. From this, historians and archeologists believe that at one time, someone must have simply dropped a loaf of bread in a clay urn filled with water and forgotten about it until much later. In either case, when the resulting drink was consumed, it was believed that it possessed a link to the spiritual world. 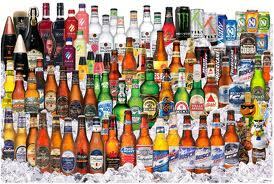 Even today, this ancient belief is reflected in the umbrella term used to refer to all alcoholic beverages: “spirits”. Compared to modern beer, early beer was unfiltered, served warm, and produced very little foam. Technically speaking, they were all ales as well, since they were fermented at warmer temperatures using strains of top-fermenting yeast. 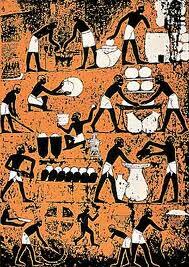 Production was also handled by women since, like the baking of bread, it was seen as ladies work. However, additional records recovered from ancient Sumeria indicate that while men did not make it, they certainly loved to consume it. In fact, the Sumerians even had a rationing system whereby priests were required to consume five liters a day! The aristocracy were required to consume four, while the commoners got off with a meager three. Much like agriculture, the cultivation of beer spread from Sumeria to the Near East, North Africa, the Mediterranean and Europe over the next few thousand years. Keeping pace with the cultivation of grains, beer was consumed by Greeks, Romans, Phoenicians, and Northern Europeans alike. With the rise of grape cultivation for wine, beer gradually became replaced as the nectar of the gods and was quickly became associated with plebeians and “barbarians” (in the latter case, this was especially true of the Germanic tribes). This cultural divide remains even to this day. In Romantic cultures (i.e. places where Rome had an enduring influence) wine is still considered the drink of choice for people of culture whereas beer is seen as the commoners drink. However, in countries like Germany, the British Isles and the Low Countries, beer enjoys a status that is equal to that of wine. Northern France also falls into the latter category, where Flanders-style ales and cider are considered more popular than wine. 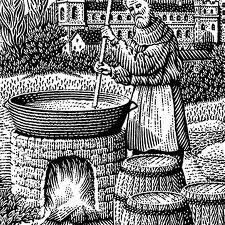 During the Middle Ages, the cultivation of beer was a rather risky and unregulated process. In addition to barley and wheat malts, brewers would often use fruit, flowers, honey, herbs, spices, and even mushrooms. Women were still considered the primary makers of beer, and when certain batches had deleterious effects on the local population, they were branded as “beer witches” and burned. Gradually, hops came to replace other ingredients because of their flavor and use as a natural preservative. Poisoning and “beer witch” trials quickly dropped off! In time, this new practice became formalized with the Bavarian Purity Law of 1516. The law stated that beer was to made using only four ingredients: water, barley, yeast and hops, and is still followed to this day. It was also during this time that beer once again became the drink of choice amongst royal courts and aristocrats, especially in Germany where styles like Bock were introduced. During the 18th and 19th centuries, the production of beer changed again with the introduction of pasteurization, steam, industrialization and rationalization. Whereas breweries had previously been cottage industries that catered to the local community, modern brewing operations were able to produce far more beer and export it to the world. 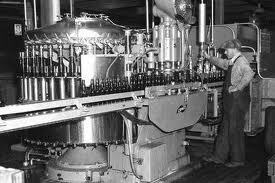 In addition, filtration and refrigeration also led to the creation of new styles, such as lager. Fermentation at lower temperatures resulted in a beer that was crisper and cleaner to the taste, and lighter in color. Yet another divide was created out of this which has endured to this day. Whereas German breweries began converting over to cold-fermentation to produce lagers, pilsners and bocks, brewers in the British Isles continued to employ top-fermenting yeast to produce ales, porters, and stouts. Breweries established in the New World, Africa, and Asia, employed either or both styles, depending on local demand and the types of beer they themselves wanted to create. Today, brewing is a truly global business with multinational and local micro operations selling over 133 billion liters (35 billion gallons) a year and accounting for over a quarter of a trillion dollars worth of revenue. In recent decades, craft brewing has once again grown in popularity, resulting in the resurgence of artisan beers and more traditional styles.